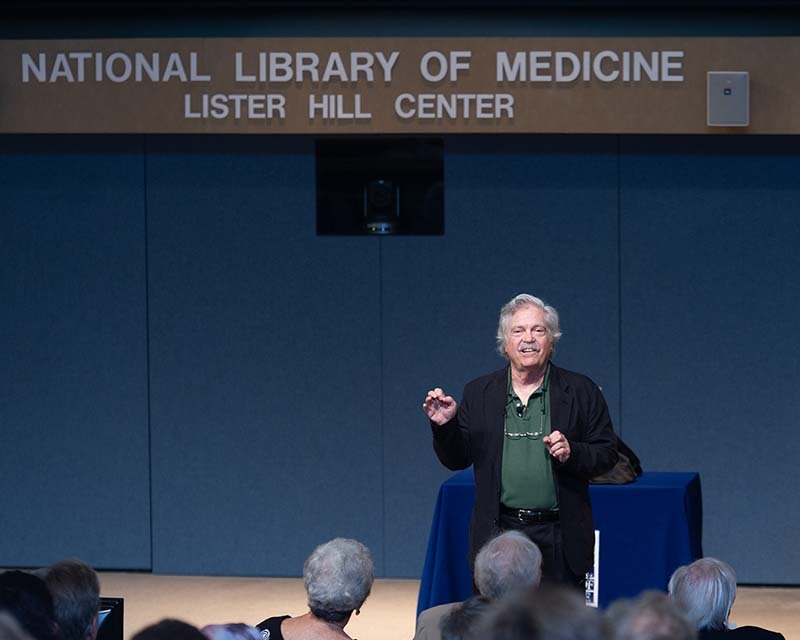 Dr. Alan Curtis Kay delivers the 2018 Lindberg-King Lecture at the National Library of Medicine. With insight into his own childhood, a bit of humor, quotations, and advice, Dr. Kay had a lot to say about a healthy future. 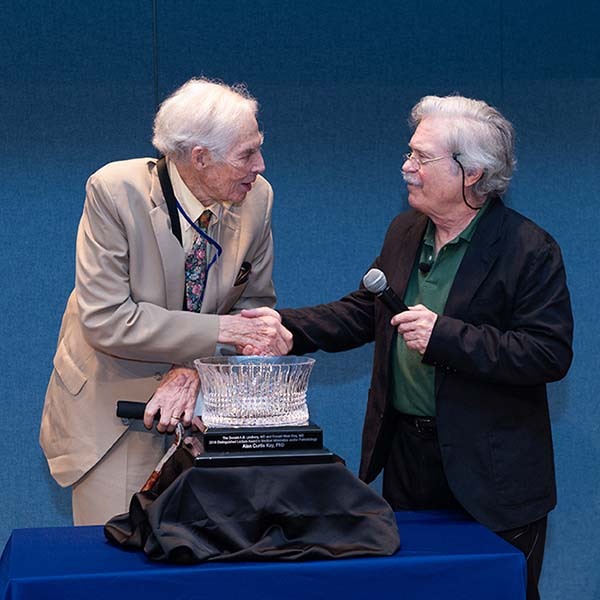 Kay spoke before a full auditorium on September 26 as the guest speaker for the third Annual Donald A.B. Lindberg and Donald West King Lecture. The lecture, named in honor of Donald Lindberg, MD, former director of NLM, and Donald West King, PhD, former deputy director of research and education at NLM, supports the mission of NLM. It was co-sponsored by NLM, the Friends of the National Library of Medicine, and the American Medical Informatics Association. A child prodigy, Dr. Kay was an original member of the seminal Xerox PARC group. For his myriad innovations in computer science, he was awarded computer science’s highest honor: the Turing Prize. He is a Fellow of the American Academy of Arts and Sciences, the National Academy of Engineering, and the Royal Society of Arts. Dr. Kay is also the president of the Viewpoints Research Institute and an adjunct professor of computer science at the University of California, Los Angeles. Dr. Kay spoke to a packed house in the Lister Hill Center Auditorium. Dr. Kay accepts thanks from Dr. Donald A.B. Lindberg, former director of NLM. The 2018 NLM Associate Fellows attend the lecture. 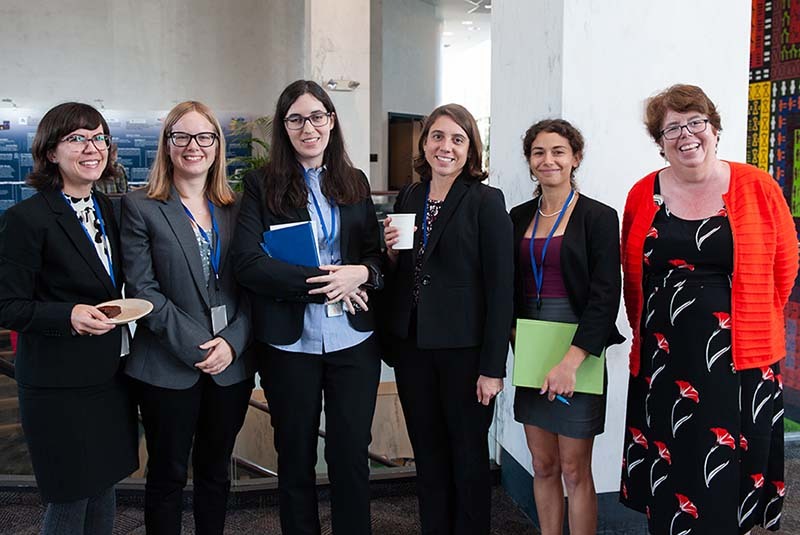 Left to right: Sarah Clarke, Paije Wilson, Amelia Llorens, Cecelia Vetter, Stacy Brody, and Associate Fellowship Coordinator Kathel Dunn. 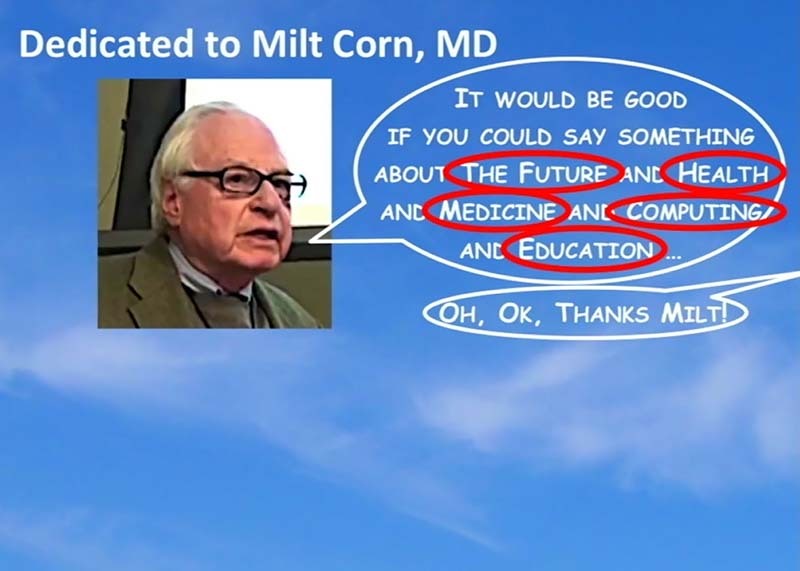 Dr. Kay humorously acknowledges the advice NLM’s Dr. Milt Corn gave to help him prepare for the lecture. ← How shiny is a Nobel Prize?